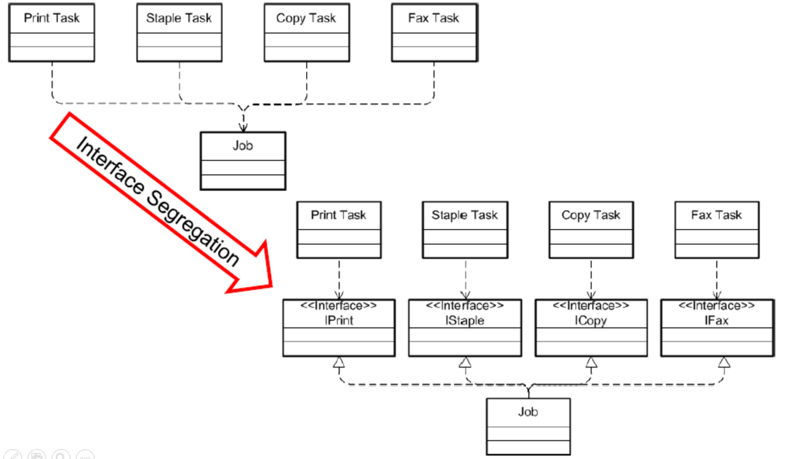 Recently I am planning an internal training regarding Software engineering concept to my colleagues and one topic is “Interface Segregation”. “When we design an application we should take care how we are going to make abstract a module which contains several submodules. Considering the module implemented by a class, we can have an abstraction of the system done in an interface. But if we want to extend our application adding another module that contains only some of the submodules of the original system, we are forced to implement the full interface and to write some dummy methods. Such an interface is named fat interface or polluted interface. DATA: lt_int TYPE STANDARD TABLE OF Zfat_Interface. 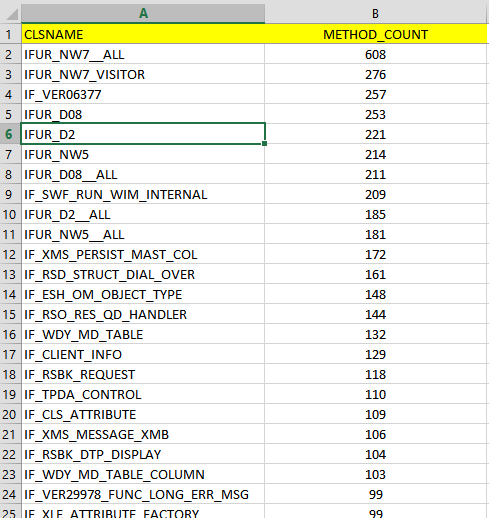 SELECT * INTO TABLE @lt_int FROM ZFAT_INTERFACE where method_count > 10 ORDER BY method_count DESCENDING. The result is there are totally 3139 such interfaces in my CRM development system. I quickly go through the list, most of them are used to build system functionalities and NO application will implement them, so in my opinion the fact is acceptable. If you are intrested with the list, you can find the excel here. On the other hand there is also another category of interfaces which has NO methods or attributes defined. Refer to this blog Tag(Marker) Interface in ABAP and Java for more detail. interesting analysis. Nice to see that not all interfaces are convoluted. However, what I’m much more concerned regarding software design in a SAP system are all the areas where no interfaces are present at all. In the better cases there is a class marked as final, in the worst there are only function modules available….